My toes were so interesting to this girl. 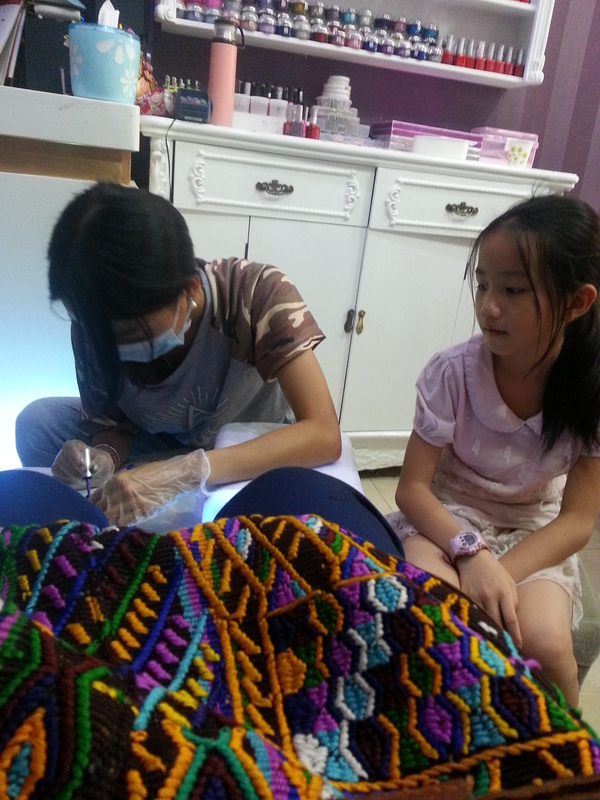 She stared at me and them from the moment she came into the salon until the moment she left. Stare back! – Now, one would think that this wouldn’t be very effective considering they have absolutely no qualms about staring at me, but can you believe it actually works?! Well, at least 90% of the time it does. When I notice someone staring at me, especially after they have looked me up and down, I stare back. I don’t smile nor do I soften my face or look away. As soon as their eyes meet mine, they look away immediately. Only a few times has this not been effective and it has usually been men who haven’t looked away. Mind you, most of the times they’re also too busy staring at my breasts. *giggle* Now, I understand THAT in any language or culture. Take a picture – Pulling out the phone and holding it up as if to take a picture is a pure genius move I discovered after being in China for a month. Can you believe they actually don’t like having their picture taken? Ha! So when I see an entire group of people staring at me like at a bus stop or crosswalk, I take out my phone to pretend to take a picture and everyone turns and looks in the opposite direction. It’s like magic! This only backfired on me one time with a guy who decided to put up the peace sign (which is actually V for victory here). Tell them to stop! – The first week here my daughter learned to say “Stop looking at me.” in Chinese. She was having a really hard time with the looks, the stares and the picture taking and finally broke down one day in the grocery store. So in order to help her cope, I allowed her to learn this phrase and use it whenever she felt uncomfortable. This not only stopped the person from staring immediately, but gave her back some of her power. Nearly, two months later and she doesn’t use it too much anymore. Only occasionally when a person is just being out of pocket, i.e. laughing and pointing. In any culture, how is that okay? Smile and speak – Yes, I actually get to do this sometimes, but not as often as I’d like. Not all of the people who stare are asshats, just a few. Some people actually smile and say hello. And those that know a bit of English will even attempt to hold a conversation. These are my absolute favorite. This man turned his head as soon as I pulled out my camera to take a picture. Lol! I know that I am a stranger in their land. It’s very difficult to forget this, especially here. And I’m not even attempting to impose my way of thinking on an entire culture. But I will continue to remind them, ever so subtly, that we are humans and not here on display just for them. I see myself updating this list as the year progresses. Ciao! 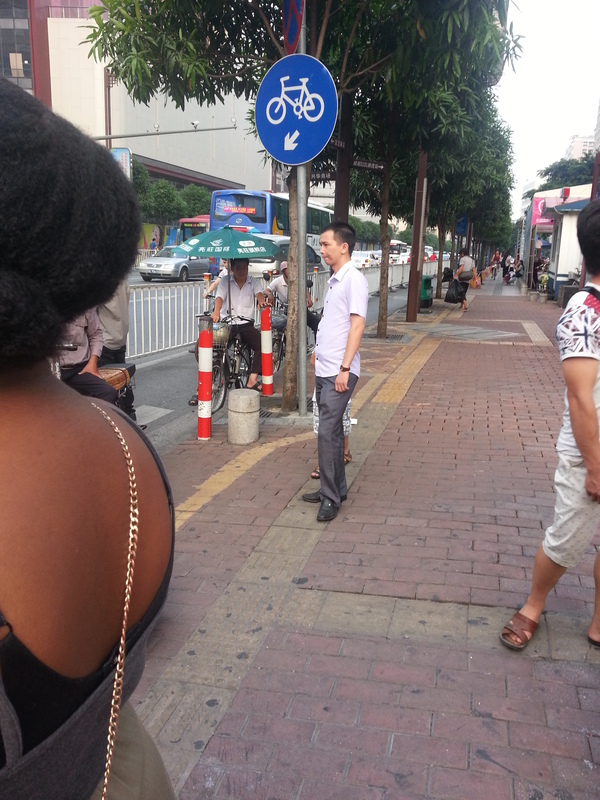 This entry was posted in China, expat, expat life, living abroad. Tagged china, cultural differences, culture, expat, expat life, single mom abroad, teenager abroad, traveler. I’m an Irish Australian living in Viet Nam and I get stared at too. The strange thing is, and I’m not sure when it started but my eyes have started following foreigners around the street too. Not the uncomfortable staring that you’re talking about, just that they look so different to the majority of people I see of a day-to-day. So, I understand why I get stared at. That is one way to make a friend.